A Lancashire Police officer was taken to hospital after an hit and run in Accrington last night. The attack happened in Accrington last night after a police officer approached a suspected stolen vehicle to speak to the driver. 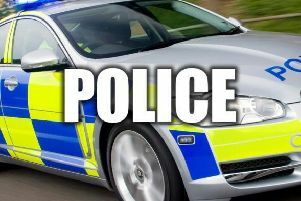 The officer was approaching the BMW 2 series car as it was stationary at traffic lights in East Gate at 8.50pm. Before he reached the vehicle, the driver reversed at speed and hit the officer and the police car. The officer suffered an ankle injury and was taken to Royal Blackburn Hospital to be treated. The driver of the vehicle sped off from the scene and the road was closed whilst police investigated the incident. A 38-year-old man, from Blackburn, was later arrested on suspicion of assault (GBH), burglary and drug driving. DCI Zoe Russo said: “Despite us making an arrest I would urge anyone with information about this incident to come forward and contact us as you could have important information to assist our investigation. If anyone has any information about the incident, please call 101 and quote log number 1165 of November 29th.